Hip hop and religion probably don’t seem the most obvious bedfellows. 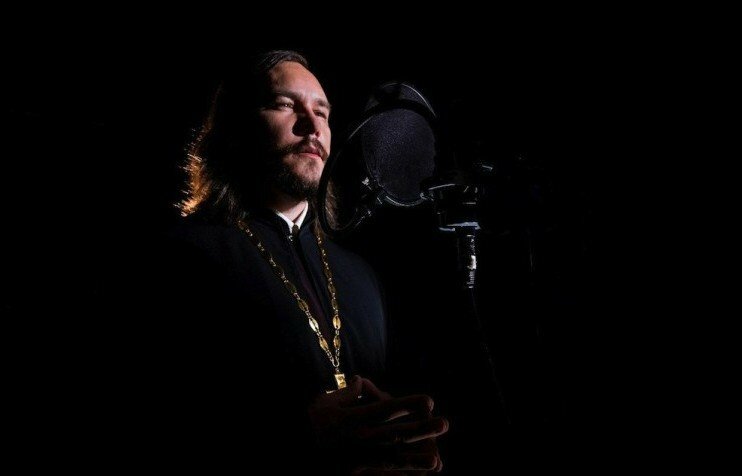 But over the past few years Russia has seen the emergence of a genre marrying the two: Orthodox hip hop, a local equivalent of the burgeoning Christian rap scene in the US. In fact, the new Christian hip hop is perhaps not so different from the mainstream: as elsewhere the lyrics tend towards the misogynistic, with women depicted as two-timing temptresses who will draw you into their web before running off with another man. Infidelity aside, the main topics covered have a familiar feel: brotherhood, revenge for murdered friends and sport. But there's another very specific subject that keeps cropping up: God. While some believers chastise the new genre as an unholy alliance, others are happy to increase the size of the flock by whatever means necessary, especially if it means getting young Russians into churches. Something, at least, seems to be working. Although the Russian Orthodox church struggled for survival under Communist rule, it has staged an impressive comeback in the past 20 years, and particularly under President Vladimir Putin. According to American think tank Pew, the proportion of Russians identifying as Orthodox Christian more than doubled from 31% to 71% between 1991 and 2008. The upswell of religious sentiment has had an influence on culture, especially fashion: clothing emblazoned with crosses is an increasingly common sight, as are women wearing headscarves out of piety. But this influence can have a much darker side — a certain deep-rooted racism that often accompanies Orthodoxy. That’s not to say that Orthodox Christianity or its cultural offshoots are intrinsically racist, but the new God-fearing rappers help to promote Church-sanctioned traditional Russian values and a form of nationalism that can be dangerously xenophobic. Although Russian communications regulator Roskomnadzor often includes songs with hate-filled lyrics on its extremism blacklist, any bans have only boosted the popularity of the genre. To help you get started with this increasingly influential scene, here's five of the biggest acts. There’s a scene in Pulp Fiction when Samuel L Jackson cites Ezekiel 25:17 — a verse about revenge, Old Testament-style — before killing a man. Wildly successful rap duo, 25/17, from the Siberian city of Omsk, took their name, and their inspiration, from this iconic quote. Their shows sell out the moment tickets go on sale, although their regional focus — they rarely perform in Moscow or St Petersburg — speaks volumes about the provincial nature of their fanbase. To the non-Russian speaker, their gentle music and soft delivery lyrics may seem harmless but take a few seconds to watch their videos and it won't be not long before you see an act of violence of one kind or another. Their lyrics cover the expected trio of topics — friends, revenge and infidelity — but occasionally make forays into nostalgic and romanticised recollections of a late-Soviet childhood, all of which is framed within religious language that touches on miracles, Judgement Day and “true faith”. Sol Zemli (Salt of the Earth), a five-member outfit from Moscow, has a cult following in both the capital and the Russian regions. The band’s fan sites boldly claim that their music is what “Fyodor Dostoevsky and Alexei Balabanov would sound like if they made rap music”, although it’s actually closer to the politically charged songs of Russia's 90s criminal underworld, known collectively as shanson, reworked to sound like hip hop. Komba Bakh is one of the oldest bands on the Orthodox Christian hip hop scene, with close to 15 years experience under their belt. The band, from the historic town of Kostroma, not far from Moscow, mix hip hop with Russian and Belarusian folk tunes and reggae. Eager to distance themselves from all things related to western show business, they eschew the use of foreign words — which they see as a product of US entertainment industry — in favour of their own coinages: they don't have albums, they have “editions”. Their website even contains a glossary of their terminology: a computer, for instance, is known as an “enemy machine”.They reject international influence in favour of pan-Slavic brotherhood with neighboruing nations like Belarus, Ukraine and Moldova. When they're not rapping about national identity, the band channels their patriotic sentiments through art — their website also plays host to a collection of their paintings — a curious mixture of post-apocalyptic scenes and idyllic Russian landscapes. When it comes to rapping about God, Maxim Kurlenko (aka Nastoyatel) certainly knows his stuff. And he should: the 40-year-old is a practising priest in the small Cheboksary, a small town on the Volga; his stage name is a reference to a monastic rank. His sermon-like tracks fuse biblical verses with right-wing political messages (“Where has morally pure, white Russia gone?” he asks in one song) and attacks on “liberasty” — a portmanteau of liberal and pederast. Not a fan of hip hop? Not to worry. Kurlenko also produces a spoken-word podcast, God is With Us, which tackles similar issues.